With the growing popularity of outdoor entertaining spaces, outdoor grills are becoming hot ticket items for outdoor kitchens. The options available for outdoor grilling seem to be limited only by your imagination and budget. From high-end, expensive models that boast all of the bells and whistles to the more humble portable charcoal grill, there is a grill model available to meet virtually any need you may have. Now that the winter chill is starting to melt away, it’s time to start getting ready for the perfect spring and summer. When shopping for the perfect grill for your outdoor kitchen, keep these five simple tips in mind. Although it may be more fun to flip through glossy magazines or troll the internet for the ultimate grill, your search should actually begin by setting a budget. Whether you have thousands of dollars to invest in upgrading your outdoor kitchen or have a couple hundred dollars in hand for a single purchase, there are plenty of choices available to you without going over your budget. By establishing your budget first, you can ensure that your time is better spent evaluating options that won’t break the bank. Like with most home improvement projects, it’s a good idea to leave some room at the top of your budget for those inevitable unexpected expenses. For example, if you have $2,000 budget and spend it all on a high-end gas grill purchase, you may then go over budget in order to pay for a gas line hookup. 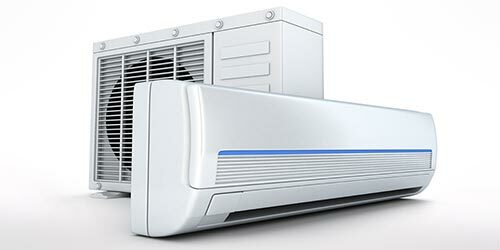 Inventorying all of the associated costs certainly helps to give you an accurate estimate. However, leaving some wiggle room at the top of your budget to account for surprises can make your entire purchase less stressful, and save you some headaches down the road. Your available space is just as important of a consideration as your budget. No matter how fabulous the grill is, it’s not going to be a good purchase if it won’t fit in the area you had it designated for. 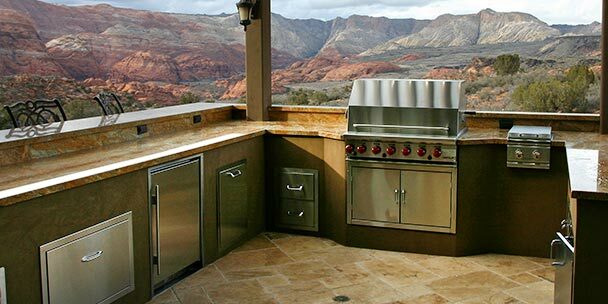 If you are building a brand new outdoor kitchen, space may not be as much of a limitation. However, you’ll still want to consider the layout and placement of the grill to determine how much space you have available. 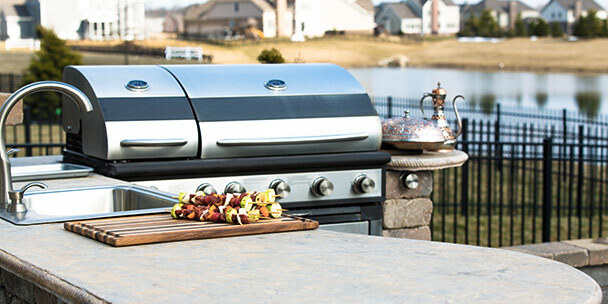 For those who are retrofitting a grill into an existing outdoor kitchen, however, the available space is a major factor in choosing the right grill. To get the best fit, measure the grill space from top to bottom, from side to side, and from front to back. With these measurements in hand, you’ll be ready to find the perfect grill to fit your space. When searching for grills, look at the dimensions first to make sure they are viable options. Many online searches will even let you limit the search results by size, saving you from wading through endless models that won’t work for you. Beyond budget and space, you’ll also want to catalog your needs and wants before shopping. Consider the type of cooking you prefer to do. Will you be primarily grilling in the hot summer months? Do you want a grill that can function year-round? Are you planning to cook for your family or hope to entertain large crowds in your backyard? Each of these considerations should factor into your choice of grill. 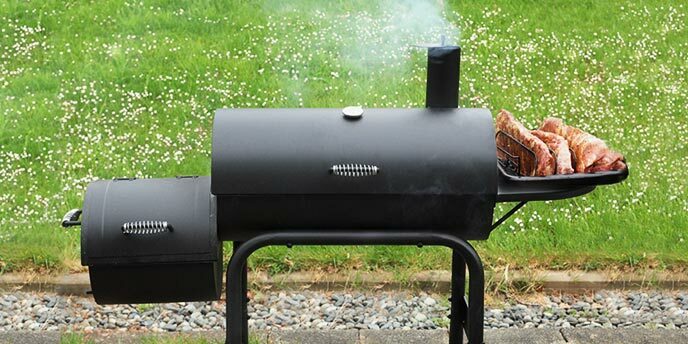 Evaluate the size, power, and type of grill that is best suited for your intended uses. 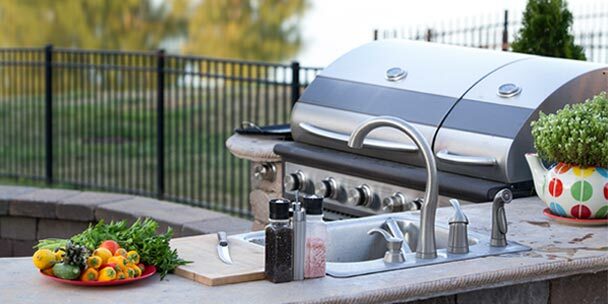 Gas and propane grills are among the most popular options for the backyard grilling enthusiast. Although these grills may cost more upfront to purchase, the ongoing costs to operate them are actually lower than for a charcoal grill. If you go the gas or propane grill route, you’ll need to determine whether you prefer to use refillable propane tanks or invest in a direct gas line hookup for easy use. While charcoal grills can be messy and more time consuming to light, it’s hard to beat the taste of meat grilled over a charcoal flame. Grill connoisseurs can appreciate the deep intense flavor that charcoal infuses into grilled food. Available in a wide range of prices and styles, you can opt for a primary charcoal grill or choose to purchase a smaller, portable model as a secondary grilling option. Although electric grills are less popular than gas, propane, or charcoal grills, they do offer a good alternative for tight spaces like an apartment balcony where you don’t want to risk a fire hazard. Easy to use, electric grills can also be affordable options. For an electric grill, you will need to be sure that you have an electric outlet nearby. Once you know what type of grill you want, you’ll need to determine which type of cooking grate you prefer. The three most popular options – cast iron, stainless steel, and ceramic coated – each offer some advantages. Cast iron is the gold standard for heat retention, but it can be prone to rust. Another advantage to cast iron is that it is also relatively easy to clean. Stainless steel provides rust-resistance but may require oiling to keep food from sticking to its surface. Ceramic coating, on the other hand, offers a nonstick surface and easy cleanup. However, over time, the ceramic coating can chip if not properly cared for. If you are having trouble deciding between the options, survey your friends and family to see what their experience has been with various types of grills and cooking grates. If possible, ask if you can test some of their models. Most people are more than willing to let you give their grill a test run in exchange for a free meal. With the ease of the internet, researching grill options has never been easier. Before you set foot in a store or showroom, be sure to do your homework. First, identify a list of potential grills that you are considering. Then, investigate them thoroughly. Be sure to check product reviews, preferably from multiple sources. Don’t stop by looking at the overall rating either. By taking the time to read through several customer reviews, you can pinpoint common complaints and potential issues. Some complaints will have more effect on your selection than others so evaluate each for its relevance to your situation and needs. With a little planning, you’ll be prepared to find the perfect grill for your needs. 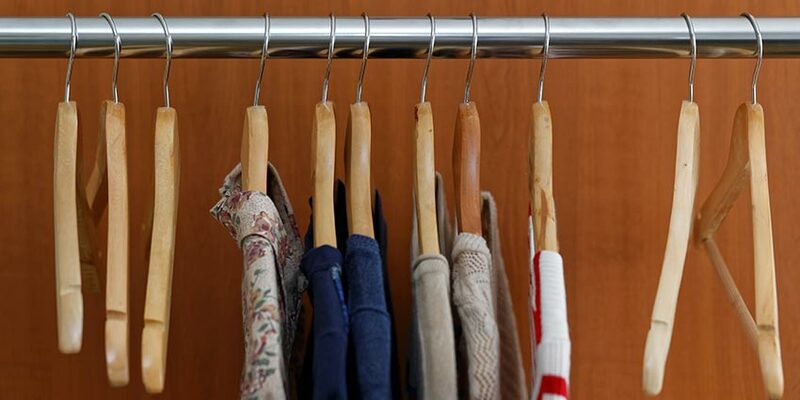 Create a budget, inventory your space, and evaluate your choices before you head out to shop. Once your new grill is installed, you can Invite over some friends for some delicious, home-grilled meals. Thank you for these tips on choosing the right grill. I appreciate that you mentioned it’s important to consider the type of cooking you prefer to do. Previously, I had only used a grill for the summer months, but I love the idea of being able to cook year-round. It’s a great way to bring the family together throughout the year and not just the summer months. My fiance and I are thinking of buying a new grill and are completely lost at what to look for. We appreciate your advice insisting that we do our homework and to read through customer reviews. These customers will provide awesome insight into their preferences and thoughts about the grill. Thanks for the heads up! I am actually planning to buy an outdoor grill for our scheduled camping trip next month. 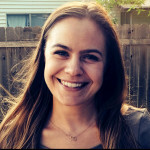 You’re absolutely right when you mentioned about setting a budget to minimize the number of choices to select from. I will definitely heed your advice on this when I start shopping for one soon.